If you arrive at “The Villa” in the morning you are greeted by the strains of Bhajans Wafting into your ears. 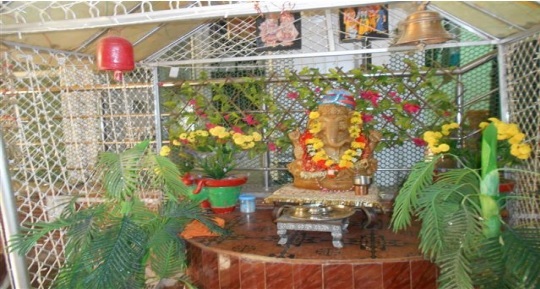 “The Villa” is one of the few Home-Stays in India which is surrounded by small Mandirs (Temples). Take a bare foot walk under the canopy of FirangiPaani trees accompanied by the melody of devotional songs this memory will be etched deep in yours unconscious…. High velocity winds are a constant feature of Ajmer and they blow through the city and coupled with the sounds of crickets, provide natural sounds which can put one into a light trance, during the night. That is why The Villa Homestay’s message to their guests is “sleep blissfully…”. 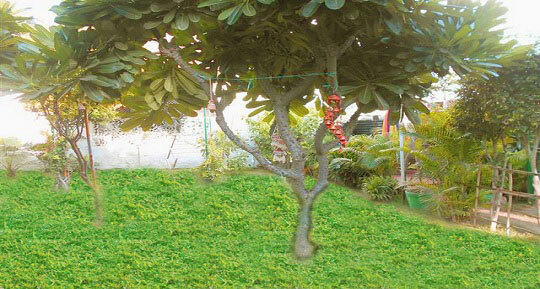 “The Villa” has special green trees including a huge neem tree which exuded tremendous cosmic energy. Several migratory birds can be seen at Anasagar Lake every winter. 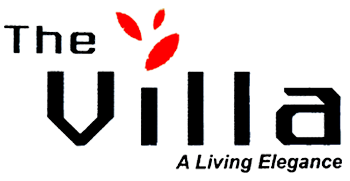 The team at “The Villa” guides guests and arranges transport to and from Anasagar Lake at nominal cost. 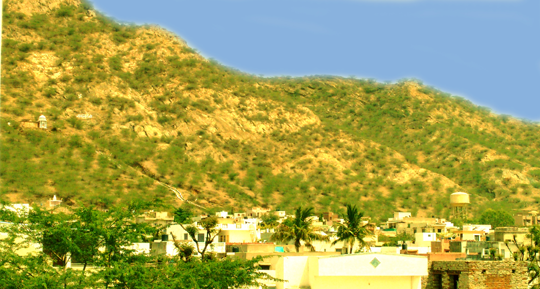 The drive from Pushkar to Ajmer takes you through the Aravali’s. One passes Anasagar Lake enroute to Ajmer from Pushkar. 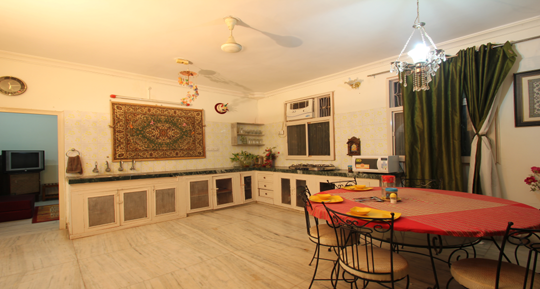 Your host at “The Villa” is Mrs Anita Malhotra, who operates homestay at Ajmer. She introduced me to my guide Sunil who is going to accompany me for the boating trip to spot birds around Anasagar Lake. The team at “The Villa” can arrange candlelight dinners at the lawn which is a magical, mystical and memorable experience. 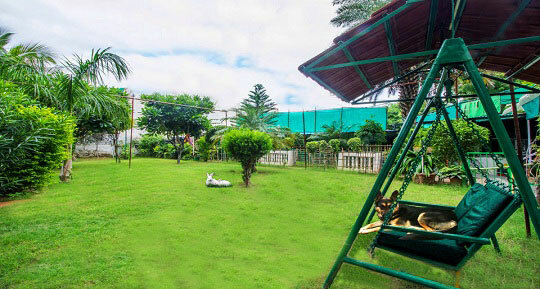 “The Villa” is also an ideal venue for a weekend gateway from Jaipur for young, newly married couples. You may sight watching it land on the lawns like a stealth bomber! If you are fortunate you may sight a Purple Sunbird at “The Villa” in the afternoon. Seeing this delicate bird flit from one branch to another has the potential to take one’s breath away. Experience breath-stopping moment at “The Villa”. You will come to “The Villa” as a guest but will leave as a friend. Our team ensures that you have a wonderful stay at “The Villa” which is professionally managed by Dev Malhotra and Anita Malhotra, who go out of their way to make guests truly feel at home. As “The Villa” is located close to “Mayo College” it is frequented by parents of Mayo students, who come to visit their children on weekends or holidays. Freshly squeezed vegetable and juices including watermelon, sweet-lime and muskmelon are served for vegans. No sugar or ice is added so that the juice retains its natural taste and detoxifies the body. The efficient staff at “The Villa” arranges outdoor seating for breakfast, lunch or dinner on request. 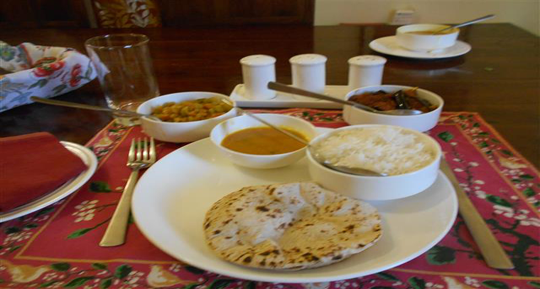 The homestyle Rajasthani sabji’s with roti’s are delicious. 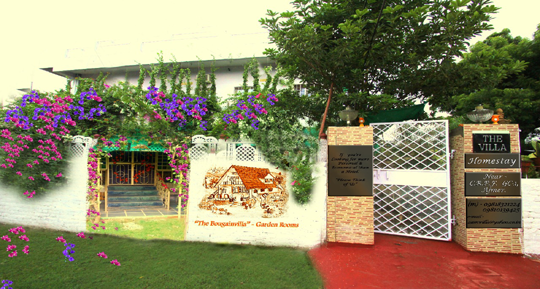 “The Villa” is the homestay of choice for parents of Mayo College students looking for a home away from home. 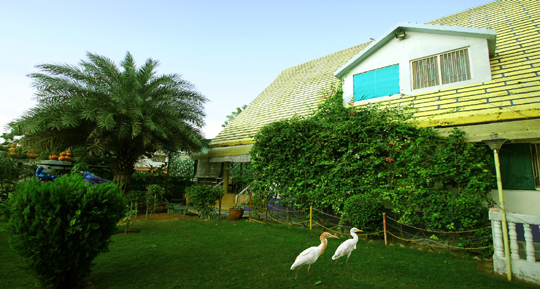 Also, “The Villa” offers a dream experience for both Indian and Foreign birdwatchers headed towards Anasagar Lake. 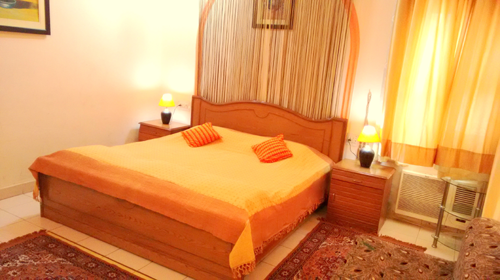 The rooms are spacious and can comfortably accommodate a couple. The bathrooms are luxurious with excellent hot water showers. A jhoola in the lawn and local furniture compete the place for a perfect holiday. The weather in Rajasthan ranges from pleasant to warm, especially when there is no rain at night. For sonorous sleep at “The Villa” light aromatherapy lamps thoughtfully provided by the management. If you want to see crimson colours at sunset, visit “The Villa” from September to May. © 2017 Accommodation Rajasthan Inc. All Rights Reserved.